Wait, hear me out. Most dads (myself included) stubbornly cling to socks and underwear until they unspool around our waists and ankles. Some fresh pairs are therefore always appreciated. Bonds currently has 40% off men's socks and underwear. The same deal is available at Myer and Big W.
It was a stunning realisation and it came to me like a repressed flashback. I must have read the word 'underpants' combined with the word 'shopping' somewhere — perhaps on Twitter or Facebook — and like an involuntary reflex I asked myself. when was the last time you bought yourself a pair of underpants. Deliveroo has concocted some gloriously OTT Bacon dishes for Father's Day including Bacon Shake, Maple Bacon Pie, Vegan Bacon Burgers and Bacon Sushi(!). Participating stores include BL Burgers and The Pie Tin in NSW, Salon De Sushi and Pierrick Boyer in Victoria, Two Bit Villians and Pancake Kitchen in South Australia and Chimek in WA. Wine is a pretty lame and thoughtless Father's Day gift - except when it's Game Of Thrones branded, of course! If your dad is a fan George R R Martin's A Song Of Ice And Fire saga, this is the ultimate Father's Day tipple. Shipped fresh from the Arbor! (Actually, I think it's from California, but whatevs.) You can get this one from Dan Murphy's. If your dad is a gamer who owns a PlayStation 4, Quantic Dream’s latest cinematic adventure Detroit: Become Human is the game to get this Father's Day. It's set in 2038 and follows the plight of three lifelike androids on the eve of a robotic uprising. Even if your dad's rubbish at games he'll be able to play this one. You can download Detroit: Become Human from the PlayStation Store for $54.95 - down from $99.95. Veteran comedian Eric Idle is coming to Australia for an intimate conversation about his life and career. The show is set to take place on November 27 at the Seymour Centre, York Theatre in Chippendale, NSW. The perfect Father's Day gift for a Python fanatic. Tickets start at $25 but you'll want to get the Premium $65 version which comes with a signed copy of Idle's book of the same name. 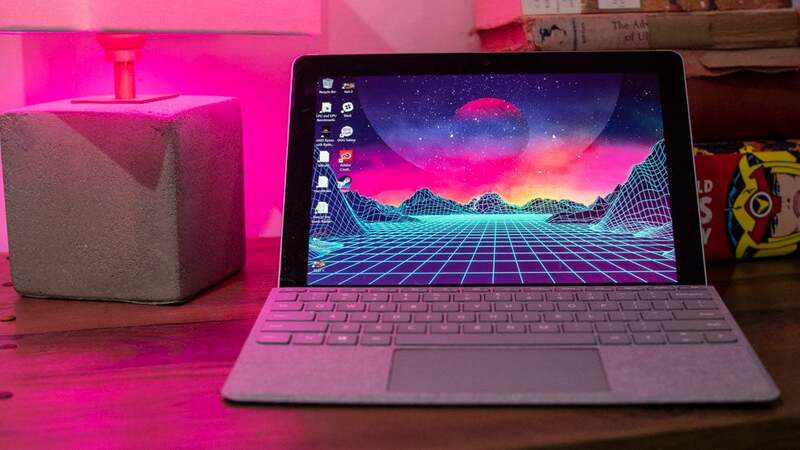 This week, Microsoft released the 2-in-1 Surface Go laptop. At 10 inches, it's the smallest Surface yet and arguably the best - especially if your dad only needs it for general day-to-day computing. The base model costs $599 and can be picked up from most major electronic retailers in Australia. You can also purchase it direct from Microsoft. If you're dad is doggedly sticking to DVDs for his entertainment fix, it's time to hook him up with a streaming subscription. If he's a sports nut, you'll want to go with a Foxtel package which starts at $39 per month. If TV shows and movies are more his bag, Stan and Netflix are both worth considering - they start at $10 and $9.95 per month, respectively. When Netflix finally flickered to life across screens Australia-wide, everything changed. Suddenly, we had access to movies and TV shows right there on our PCs, tablets and phones. In the intervening years, two competitors have rose to take it on. Stan and Foxtel Now. The battlefield is every couch around Australia, the weapons are Great Content, Aussie Dramas and Sports. What is the best streaming service in Australia and what's right for you? The BenQ TK800 is a 4K UHD HDR home theatre projector specifically designed for sports viewing. This makes it the perfect gift for footy-loving dads - especially with the finals just around the corner. You can get this one from JB Hi-Fi for $2198.